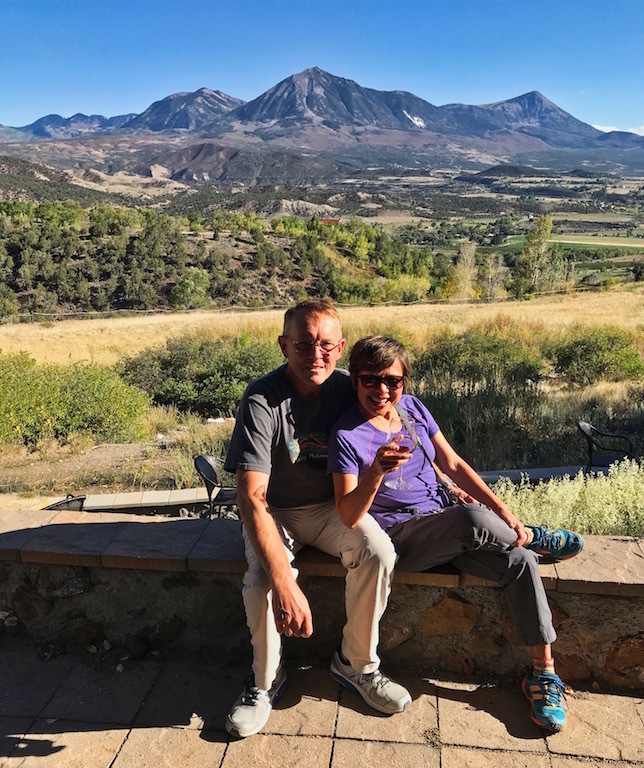 We’d been hanging out in southwestern Colorado for several weeks, just so I could be awed by Colorado’s gold – the golden Aspen trees, that is. This was Steve’s promise to me since I had missed this portion of our travels in 2015 due to a family emergency. 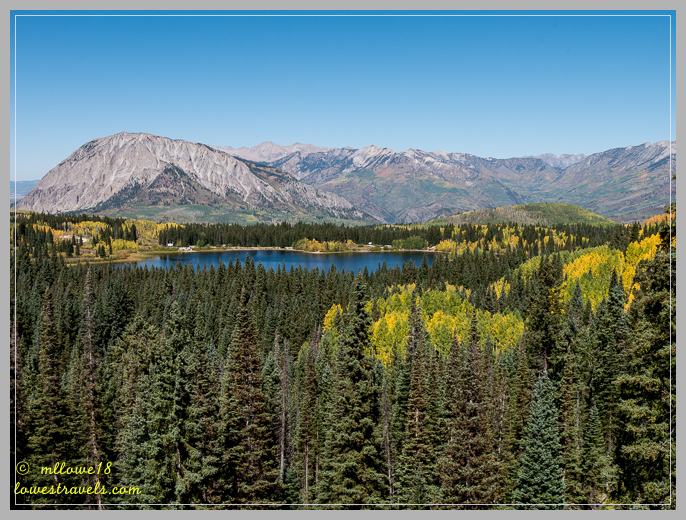 And I was excited that my first leaf peeping would be at Kebler Pass, a high mountain pass near Crested Butte at an elevation of about 10,000′. 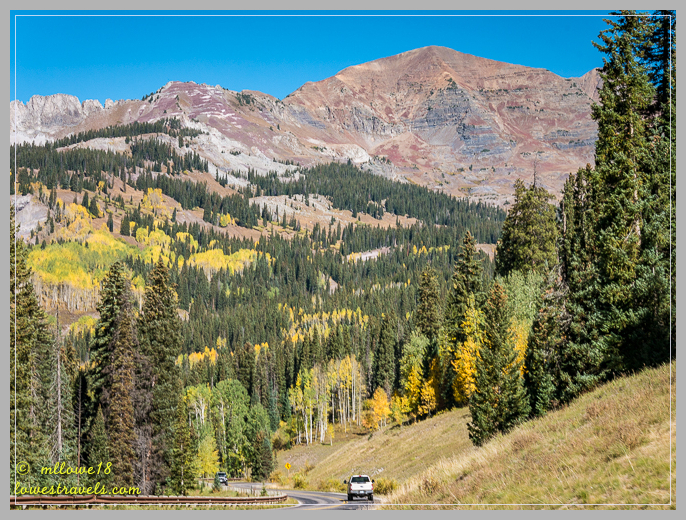 It’s a seasonal mountain highway that connects Crested Butte with Paonia, and since I had heard good things about Crested Butte it only added to my anticipation. I was a bit apprehensive about our timing, because I’d read on the Forest Service website that the full fall foliage in this area was at least a week away. 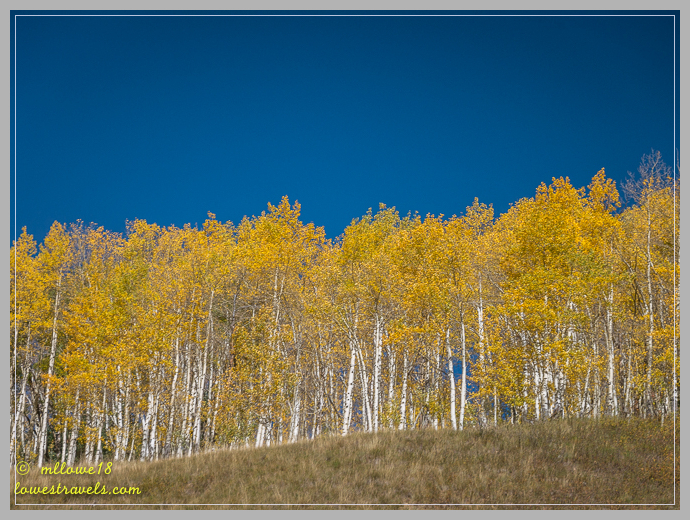 But I kept my fingers crossed that we’d see lots of gold along the way, and as we approached Crested Butte I realized I wouldn’t be disappointed! We arrived at Crested Butte, a little 1880s mining town, before its businesses started opening. We strolled through all of the quaint streets of the downtown area, which didn’t take long. 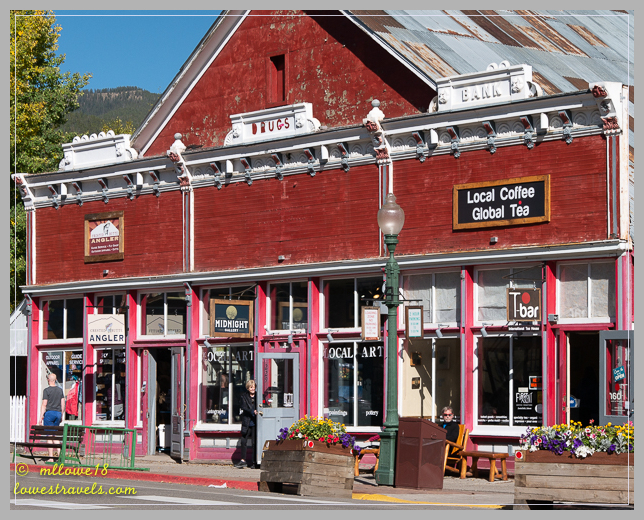 Local businesses are housed in beautiful and vibrant late 1800’s era storefronts, making it a picturesque mountain community. We could see why these folks boast about the panoramic views of Mt. 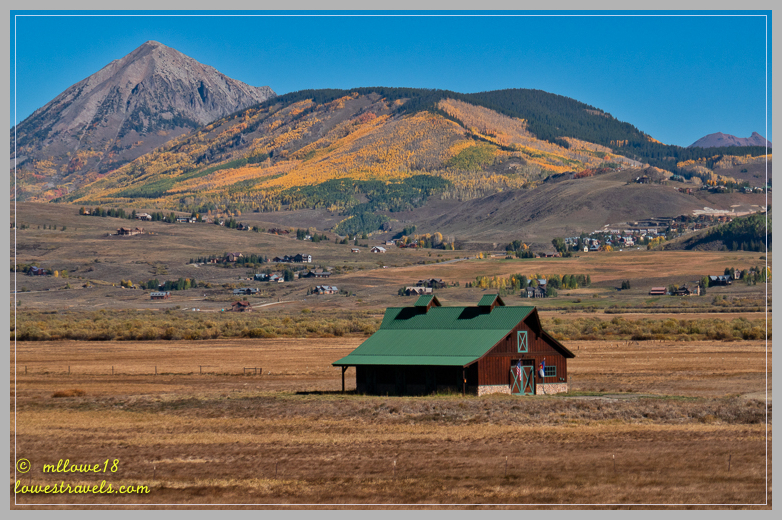 Crested Butte’s dramatic peaks that can be seen from anywhere in town. Hmm…do I really need yet another T-shirt? 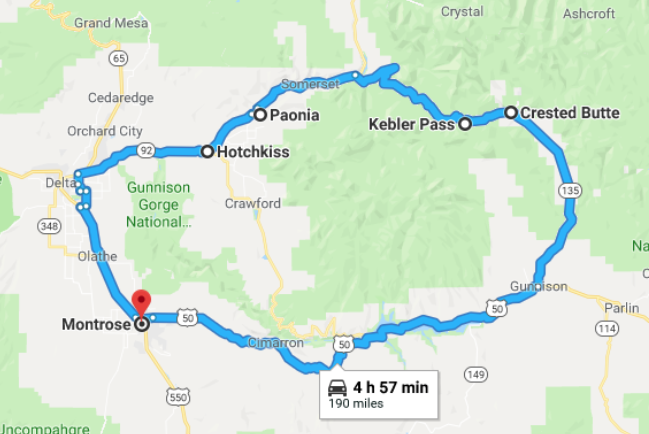 After walking and gawking around town for a while, we continued up to Kebler Pass, a 30-mile segment of gravel road on the West Elk Loop Scenic and Historic Byway. 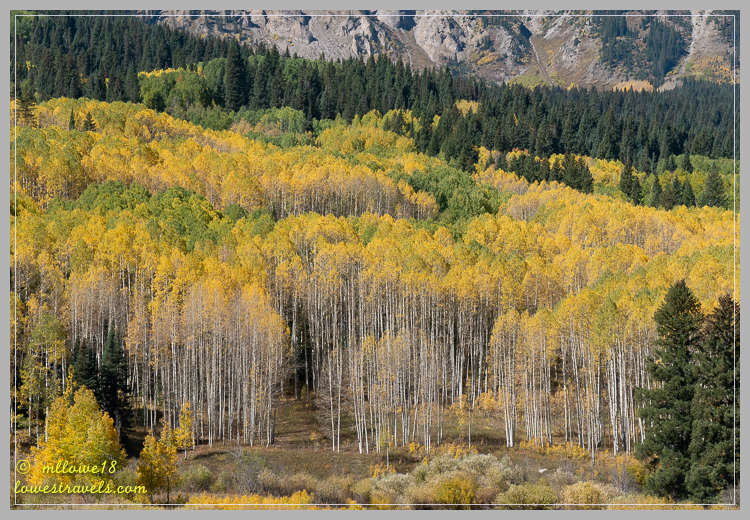 It’s home to one of the largest Aspen groves in the world. 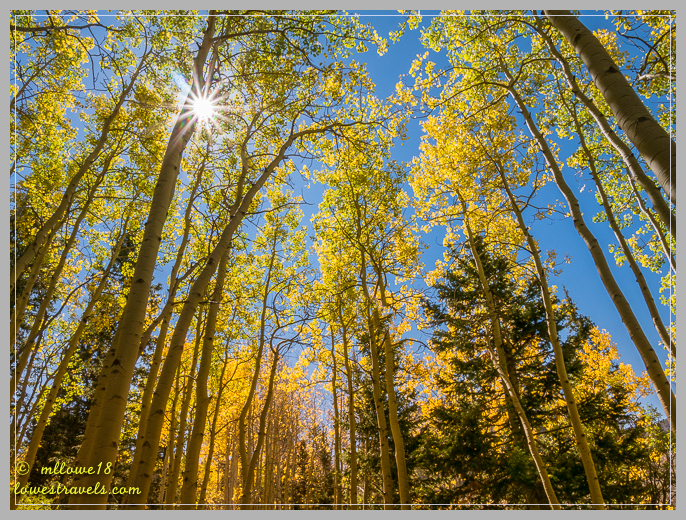 Even more mind-blowing is the fact that Aspen trees grow from a single root system and all of these trees are a single living organism named the Kebler Pass Aspen Grove. 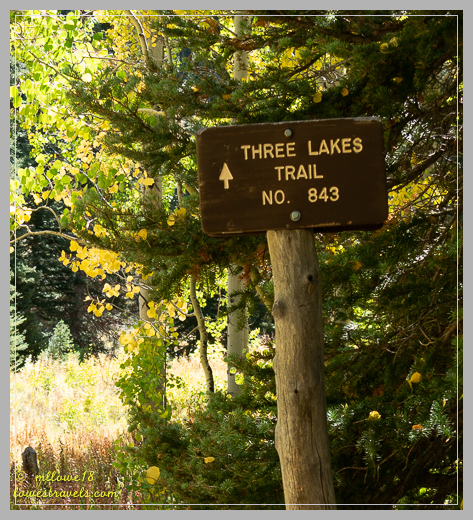 To avoid the main leaf-peeping traffic, we turned onto an even narrower and steeper gravel road leading to our planned hike on Three Lakes Trail. 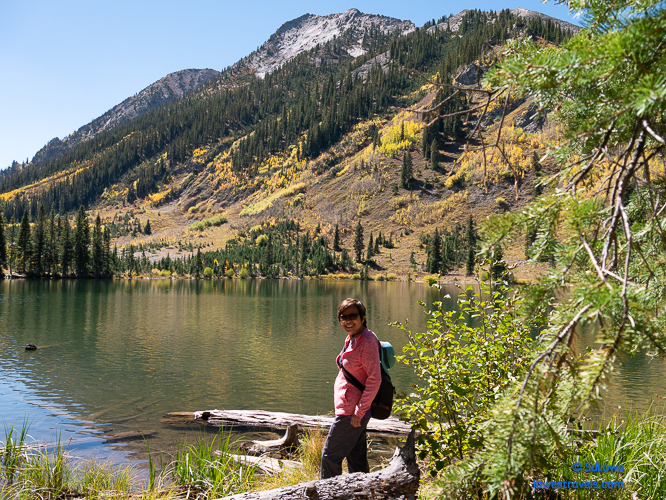 This hike featured (you guessed it) three lakes, great views of Ruby Range, and a spur trail to a small waterfall. 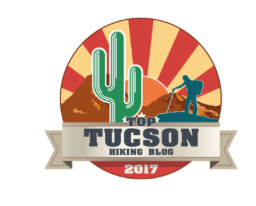 It was a short 3.7-mile moderate and scenic trek, with plenty of families and groups of friends enjoying it along with us. 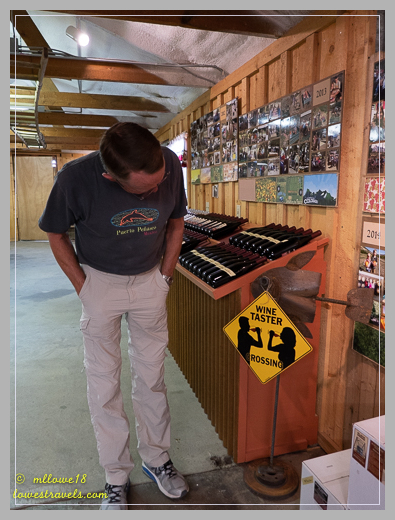 We eventually escaped the busy area and continued over the pass into the friendly little town of Paonia, where we had a late lunch and were then inspired to taste some wines at a couple of nearby recommended wineries. We were again surprised at how good Colorado red wines are, especially the Pinot Noir’s, which are my new favorite. Our final stop was at a pig farm in the town of Hotchkiss, which Steve had arranged several weeks before. Say what? A pig farm? Since we first tried pasture-fed pork with my relatives in Arkansas a few years ago, Steve has been on the lookout for the delicious meat which is difficult to find. We’re still not sure why it’s so easy to find grass-fed beef, but not pasture-fed pork – maybe it’s just not so in demand? Toby McPartland, “Lead Pig Wrangler” (his terminology), was happy to show us around his operation. He was a super-nice guy and very knowledgeable. We happily bought enough pork to last us several months. If you get a chance to try pasture-fed pork, watch out – you won’t be satisfied with store-bought again! If you enjoy a good pork chop now and then as we do, check out Colorado Pastured Pork if you’re in the area. Although large “pork packages” are shown on the website, Toby was good enough to sell us just the cuts and amounts we wanted since we drove out to his farm. Good stuff! Steve looks a bit tired at Azura Winery, where I tasted a wonderful Pinot Noir. Cheers! It was a long day of circuitous driving, but who can complain with such awe-inspiring scenery all around? 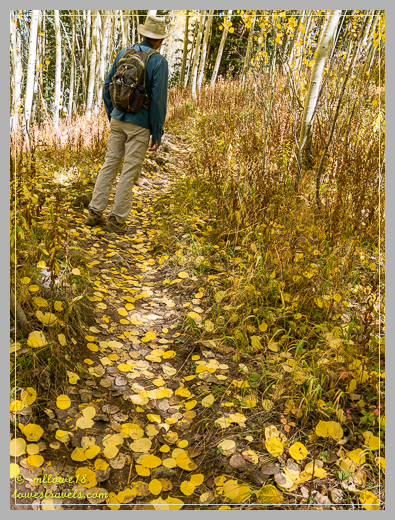 The Kebler Pass Aspen Grove may not have peaked quite yet, but it portends well for more of the state’s signature golden Aspen trees at our next stop! Pinot Noir is my favorite red as well. We agree that pastured pork is nothing like the conventional pork you see in grocery stores. Glad you are getting your fill of fall color MonaLiza. Thank you Sheila, are you already on your way to AZ? 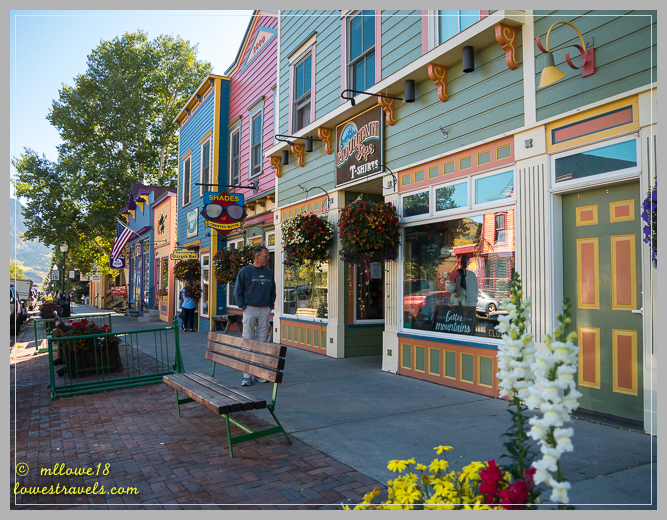 Love the colors in Crested Butte. On the houses and stores that is. AND the gold in them hills behind the town. 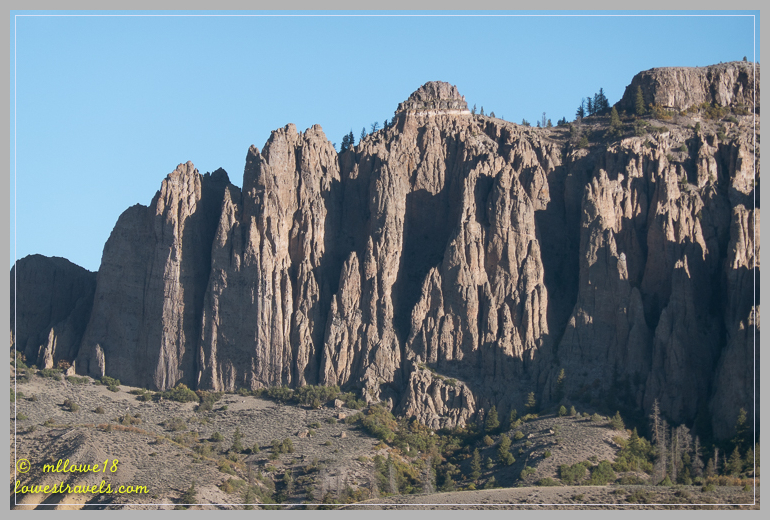 Really fabulous views and pictures on the scenic byway. 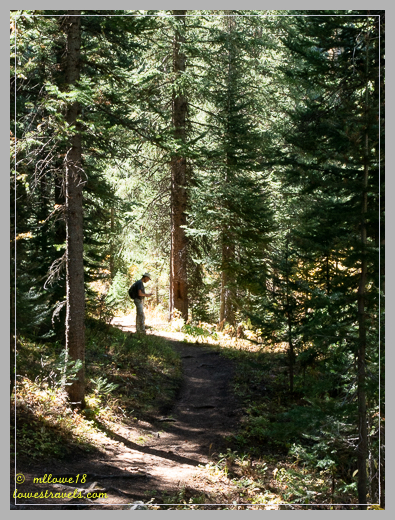 Steve kept his promise in spades with a little help from the Aspens. 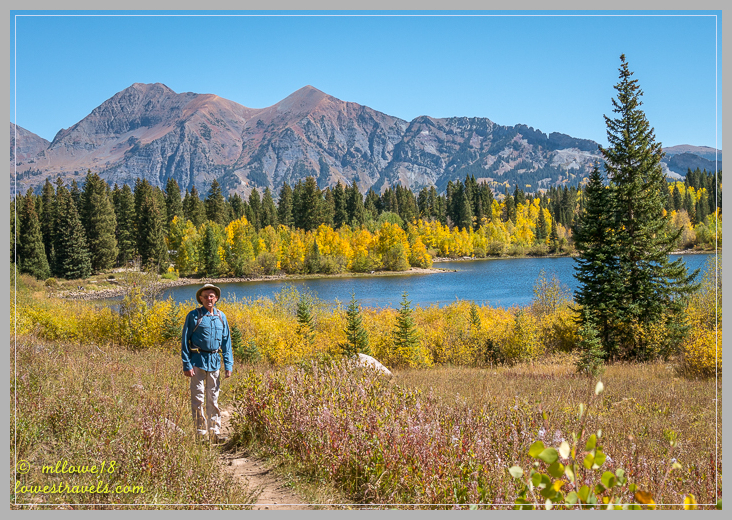 Glad you could get out for a hike to the lakes and up close to the color. Love that sun and beams burning through. Great picture. Looks like your timing was just right and was well worth the wait. Kebler Pass Road is absolutely beautiful! Even if it was describe as Near Peak, I’d say we did have a good timing. I would want to go back there when it is really peaking, but it is just a wish for now. It looks to me like you hit peak aspen fall colors! I can’t imagine it any more beautiful than what you captured in your photos. 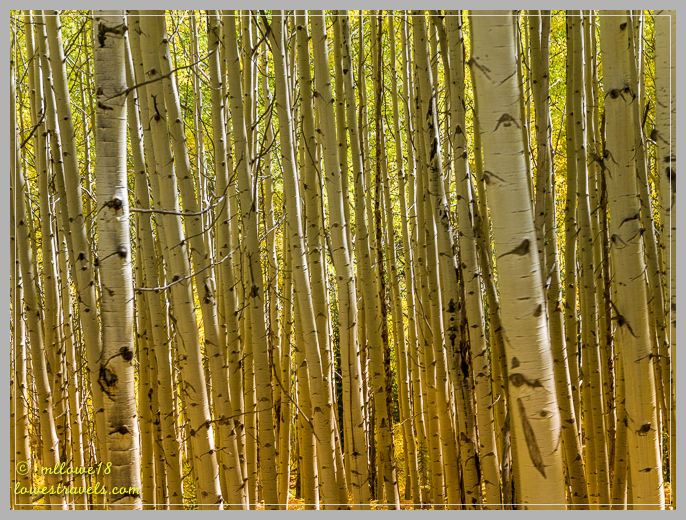 Isn’t it fascinating that the aspen in a grove all share the same root system? And I totally agree with you about pastured pork. That’s the only kind we buy—we find it at farmers markets all over the country and sometimes at natural foods stores. It’s so delicious! It is really beautiful but my photos just cant capture the dazzling Aspens. Pastured fed pork is really the best! Sounds like a wonderful day with auto hiking and foot hiking!! The aspen are so beautiful. 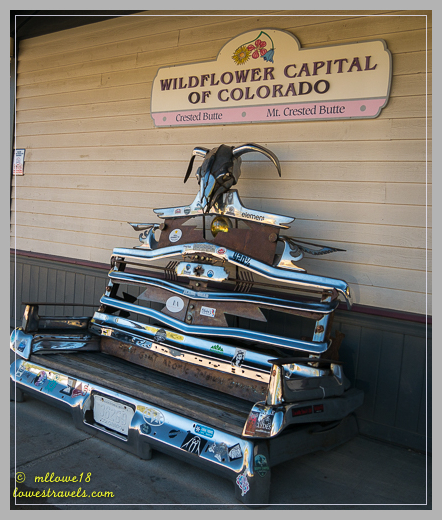 I am glad we got to enjoy them in Boulder Mountain. Hiking on a leaf covered trail is such fun. The blue sky is so necessary for the yellow to pop. 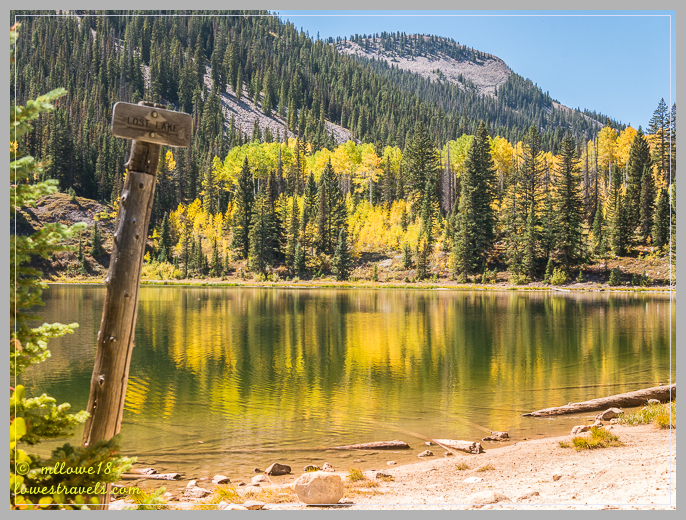 Beautiful photos:) Love the hike to the lakes. 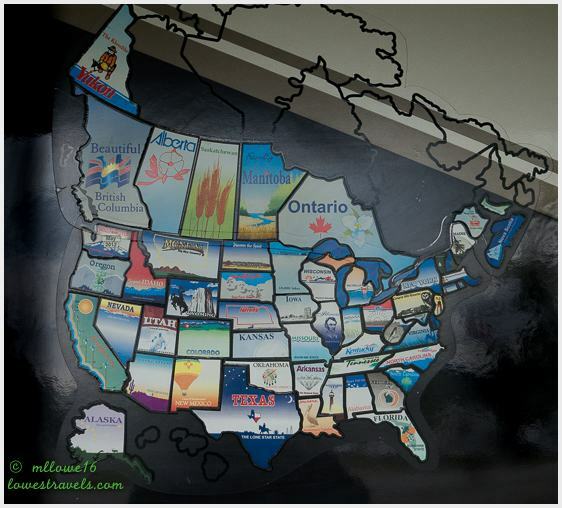 A pig farm…what an adventure! I’ve never had fresh pork. I’ll have to keep an eye out for it! Thanks for sharing your loop day. I’ll keep it for next year when we try this area again. 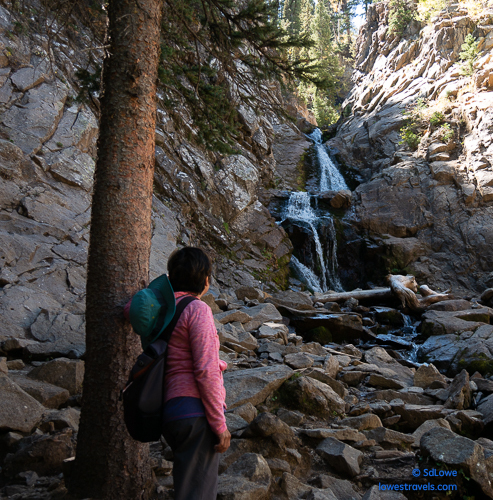 The hike was really a quintessential Colorado trail even if you do it on springtime or summer. Pam you should try some pastured pork, it really tastes different from the port you get from the store. Hitting this area in the last two weeks is great for hiking and leaf peeping. The quality of the color on the fall’s Aspens isn’t to be believed. Driving through a grove of them is like looking at the sun. I’m always taken with the mezmerizing patterns the trunks make, whether in their fall clothes or naked in the winter.Your photo’s are so beautiful MonaLiza. My photos can’t do justice, being there and seeing those glittering Aspens mesmerized me. So beautiful and captivating! That’s a beautiful drive through beautiful country that we’ve experienced in the past. 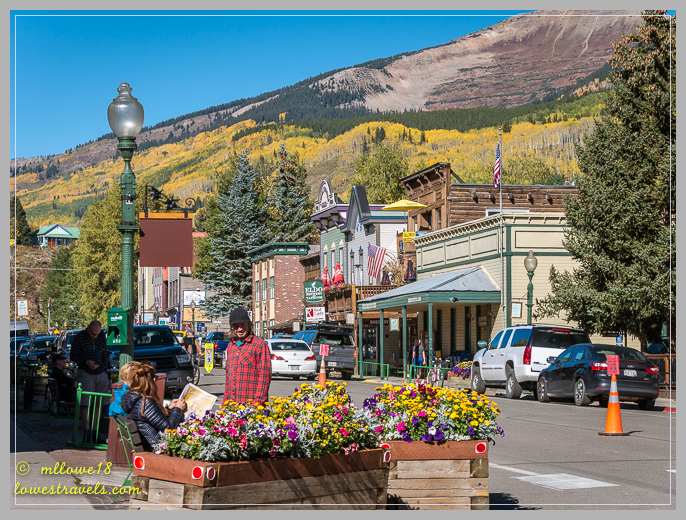 Crested Butte is one of my favorite mountain towns. Thanks for an Aspen fix! Sometimes I wished you are with me and get crazy with our cameras. I checked your archive and too bad we cant do some of the drives you mentioned, our little car cant make it. Looks like and excellent auto hike day with a actual hike thrown in! I know, tucking in a hike was the bonus for this amazing drive. Beautiful pictures! Enjoy following you on your adventures. Hope our paths cross again some day. I sure hope so Mary Jo. We will be heading southeast this winter. Gorgeous! I enjoyed your little tour with all the interesting stops along the way. 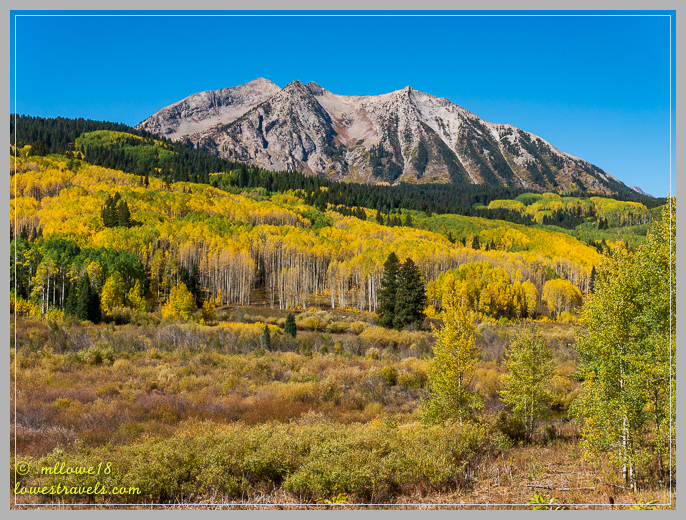 Thank you Marcia, it was a beautiful corner in CO to see the best color for the Aspens, but my next post has more shimmering colors. Thank you for the tour, MonaLiza! So pretty, especially with that beautiful blue sky! I thank Steve for routing us here this fall. And he was right, Fall in CO is just amazing!